Who will win the Sveriges Riksbank Prize in Economic Sciences in Memory of Alfred Nobel, scheduled to be announced this Monday? The names of a few deserving candidates quickly flashed through my mind. The names that most people in the Economics profession would agree with, Paul Romer who is at NYU, Doug Diamond at the University of Chicago, Steve Ross at MIT — the usual suspects — for their influential work in 1970s and ‘80s. In all likelihood, they will receive the highly coveted prize sooner or later. 25 years ago this month Paul Romer‘s paper, “Endogenous Technological Change” was published in the Journal of Political Economy. After over 20,000 citations, it is one of the most influential economics papers of that period. The short version of what that paper did was to provide a fully specified model whereby technological change (i.e., the growth of productivity) was driven not be outside (or exogenous) forces but, instead, by the allocation of resources to knowledge creation and with a complete description of the incentives involved that provided for that allocation. The Romer Model’s central premise is that growth of knowledge is cumulative. New knowledge builds on past knowledge. This is what makes knowledge (or ideas) different from physical capital. The way in which knowledge provides a foundation for the production of future knowledge is inherently non-rival. a model that provided a consistent and convincing story as to why growth in per capita income persists (in contrast to the Solow model) and also what the role for government would be in promoting long-run economic growth — namely, strengthening the private appropriability of knowledge production (most likely through strong intellectual property protection) and by ensuring sufficient supply of scientific and engineering talent (through education programs and immigration). the process by which ideas feed into a stock of disclosed knowledge that will, in turn, drive cumulativeness is important. In other words, to understand growth surely we need to understand what incentives there are to create and also detract from the pool of knowledge that can help future idea creators. the Romer model subsumed the study of institutions for knowledge creation and dissemination and hence, the focus drifted from these things which economic historians have long demonstrated are at the heart of economic growth. Interestingly, the framework of the Romer model surely could be amended to bring these factors back into the fold. 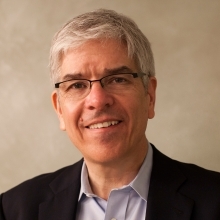 Economist Paul Romer has developed a theory of economic growth with “endogenous” technological change — that is, it can depend on population growth and capital accumulation. His endogenous growth theory ties the development of new ideas to the number of people working in the knowledge sector (think of this as effort devoted to R&D). These new ideas make everyone else producing regular goods and services more productive – that is, ideas increase TFP. because ideas are what economists label as “non-rival” (meaning that my use of an idea, like a recipe or a mathematical formula, doesn’t prevent your use of it), there will only be an economic incentive for more people to work in the knowledge sector if there are intellectual property rights such as patents and copyright. Thus, it is necessary to restrict competition in the knowledge sector in order to stimulate growth, even though this leads to other distortions and disparities in the economy. SG 1000 & 38 Oxley Road Powered by WordPress.com.